The on-going tussle between Ericsson and Reliance Communications (RCom) in the Supreme Court makes an interesting case study on corporate disputes and its effect on the rule of law, as also on the public exchequer. The case was initially fought between Ericsson and RCom in the National Company Law Tribunal (NCLT) in Mumbai for the recovery of dues to the tune of approximately Rs 1,500 crore that the latter owed to the former. The case has also entangled the Department of Telecom (DoT) which has an independent claim of more than Rs 2,800 crore from RCom towards spectrum usage charges. The dispute can be traced to 2013 when Ericsson entered into agreements with RCom and its Group companies (Reliance Infratel Limited and Reliance Telecom Limited) for managing and optimising the latter’s telecom infrastructure. When RCom and its subsidiaries failed to pay Ericsson for services provided between 2013 and 2017, Ericsson filed an insolvency petition before NCLT in Mumbai claiming that RCom owed it nearly Rs 1,500 crore. The petition was admitted by NCLT, but the proceedings were soon stayed by the National Comp­any Law Appellate Tribunal (NCLAT) after Ericsson agreed to settle for Rs 550 crore if that amount was paid within 120 days. RCom failed to do so and the case went to the Supreme Court in August 2018, when RCom gave an undertaking that it would pay the agreed sum by September 30, 2018. In the meanwhile, DoT, which became concerned over RCom’s financial health owing to the NCLT proceedings, issued it a demand notice for payment of dues of spectrum usage charges from 2006-07 onwards. This had to be either paid or secured by bank guarantees before the Depart­ment could approve a proposed deal between RCom and Reliance Jio for sale of the former’s airwaves. According to DoT, RCom’s spectrum dues had to be paid or secured by bank guarantees either by RCom (the seller) or Reliance Jio (the purchaser) by following the Department’s Spectrum Trading Guidelines of 2015. According to these guidelines, the seller must clear all its dues prior to concluding any agreement for spectrum trading. The government is also entitled to recover amounts which were not known to the parties at the time of the effective date of trade from the buyer and/or seller. The guidelines also state that any such trade in airwaves can be permitted only after the rights and liabilities of the seller are transferred to the buyer. RCom, which challenged DoT’s demand notice in the Telecom Appellate Tribunal (TDSAT), denied that it owed the spectrum charges because the Department’s method for calculating such dues did not comply with a prior TDSAT judgment (which has been appealed but has not been stayed by the Supreme Court). RCom also contended that it urgently needed to sell its spectrum to Reliance Jio to raise funds to repay debtors such as Ericsson. After a prolonged battle, TDSAT passed an interim order in October 2018 directing DoT to permit the spectrum sale between RCom and Reliance Jio on the condition that the former would secure 50 percent of the spectrum dues claimed by DoT by pledging certain lands owned by a subsidiary in Navi Mumbai. RCom was, therefore, not required to furnish bank guarantees. That same month, the Supreme Court granted RCom a final extension up to December 15, 2018, to pay the amount owed to Ericsson. The fate of Ericsson’s dues, which RCom had separately undertaken to pay, was now inextricably linked to DoT’s dues. DoT appealed against TDSAT’s interim order in the Supreme Court. The Court asked RCom to furnish a corporate guarantee in addition to the pledge of land. It concurrently directed DoT to approve the RCom-Reliance Jio spectrum sale. However, the government has recently declined to approve the deal after Reliance Jio refused to commit to pay RCom’s past dues for spectrum usage charges. As expected, RCom failed to pay Ericsson by the extended deadline. 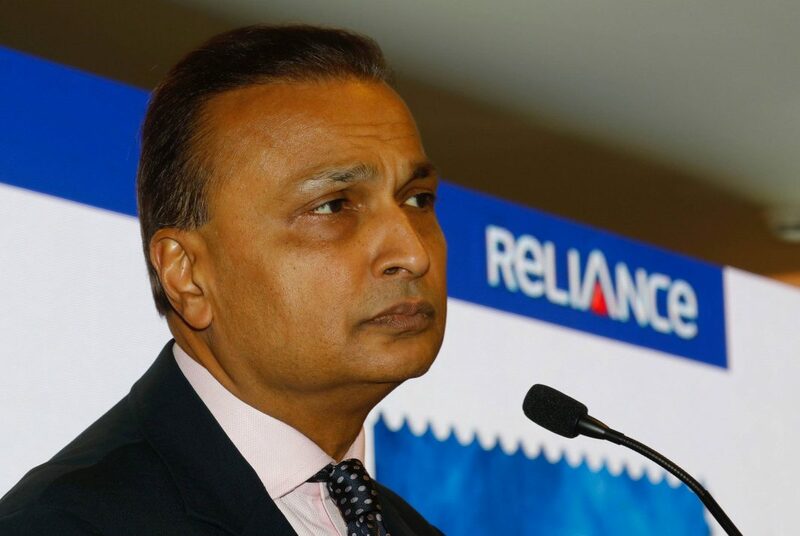 Ericsson responded strongly with a contempt petition in the Supreme Court seeking civil imprisonment of RCom’s chairman, Anil Ambani. The move prompted RCom to make a part payment of Rs 131 crore in court. RCom’s attempt to associate its previous undertaking to pay Ericsson with its plan to sell airwaves to Reliance Jio is creating a triangular contest between Ericsson, RCom and DoT. Moreover, RCom gave an undertaking to the Supreme Court that it would pay Ericsson by a stipulated date. Such solemn promises voluntarily made in a court of law by a party skilled in commerce should not ordinarily be rescinded or caveated, particularly when they form part of a settlement that was reached for the very purpose of expeditiously ending litigation. Insofar as DoT’s spectrum dues are concerned, it is public money which should be paid or secured as best as possible and with minimal exposure to fluctuating market valuations of land or the worth of a company. Bank guarantees are, and will continue to be, the surest and most viable mechanism for securing public revenue. Next storyGST Revenues: Where’s the Money, Honey?